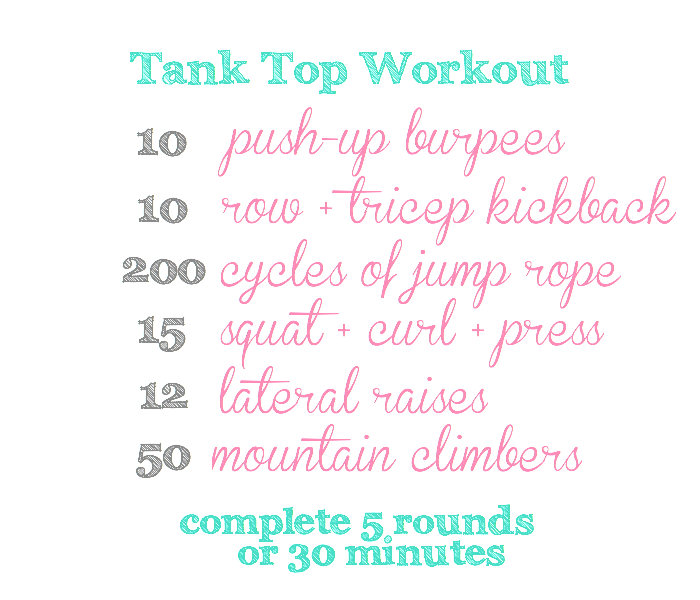 Even though it may not be 70* where you are this week, I wore a tank top for the first time in months today which led me to develop this workout! Before you know it spring weather will be here. Here’s a workout to target those arms, with a little cardio of course. Most of my workouts involve burpees, and since were focusing on the arms try to add a pushup in the mix if you don’t already. While jump roping make sure to engage your core, shoulders, back, and arms. For lateral raises, I like to vary the angle (straight out in front, out to the side, and somewhere in the middle) each time to target a different part of the muscle. Lastly, if 50 mountain climbers aren’t enough (baller shot caller) feel free to do more 😉 Complete 5 rounds or 30 minutes, whichever comes first! So all of this seems like one round of it would be torture, but I am going to try and do 5 rounds so I can have an extra good cheat day this Saturday! Loving this workout routine! 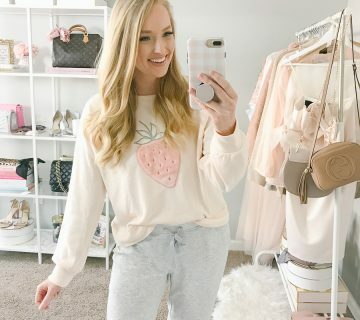 I just found your blog through the Southern Blog Society Georgia page! I'm moving to Marietta next week and thought I would pop in to say hi!